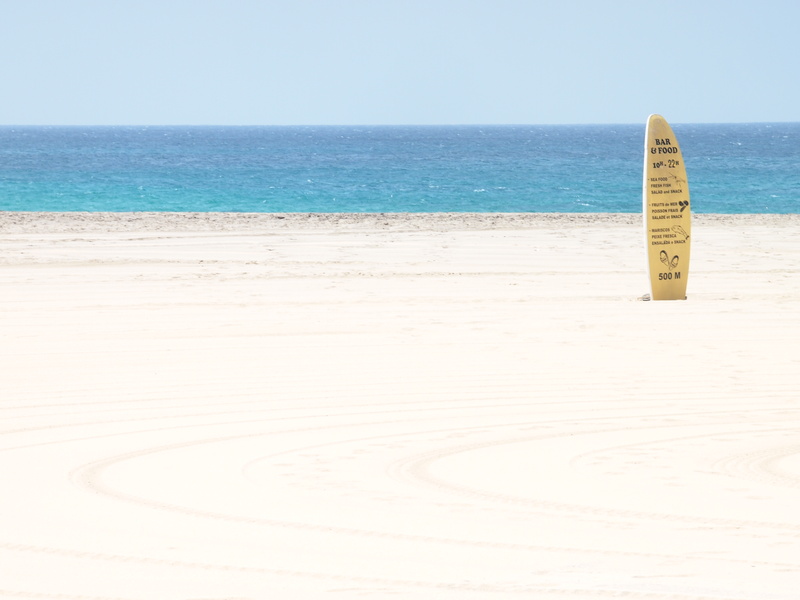 Cape Verde will not disappoint those looking for the beach life, beaches that are largely unspoilt by pretentious touristy accessories. The glare from the sun is very strong stronger than anything I’ve ever experienced, so make sure you have good sunglasses while you’re out. If you enjoy lounging around the beach, people watching, surf watching, beach football watching etc, then you’ll be right at home on down town Santa Maria beach. There was a woman on the beach who brought her dog, nothing strange about that. Then she scooped the dog up and proceeded into the sea, up to around chest high. The dog was clearly not happy and was trying to break free, too late. Then…..she threw the dog out into the water about a foot away from her!!!! The dog seemed to be struggling and making unhappy barking noises, so she reuscued it before flinging it into the water again, and so it went on. And we wonder why some dogs get mad and bite people! I’m guessing this was her way of teaching the dog to swim, thankfully she never allowed the dog to sink and kept pulling it close and keeping a hold on it. The sun’s glare is no joke…. Some serious sculpting going on here…. Thank you so much for looking! Yes, it was cruel they way that dog was treated – the poor thing must have been traumatised.